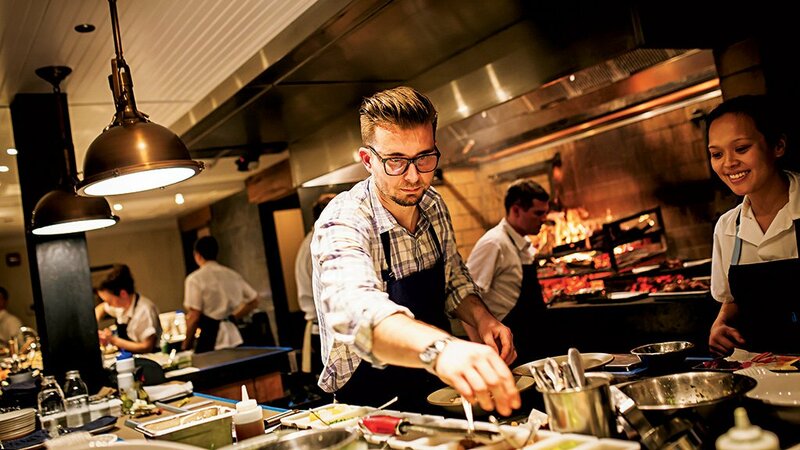 Just before taking off for training at Le Bernardin, the Inn at Little Washington alum chats with Best Bites Blog about his plans for the restaurant. 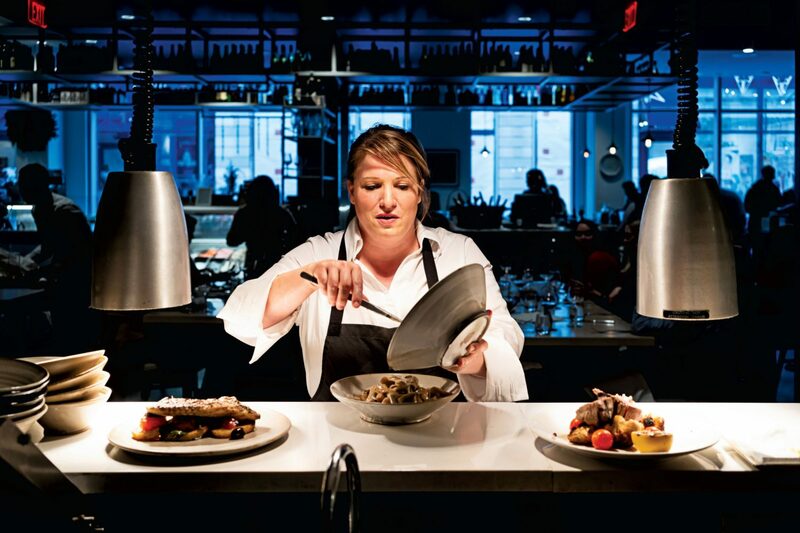 Devin Bozkaya will take over at Westend Bistro this fall. Photograph courtesy of the Blue Rock Inn. 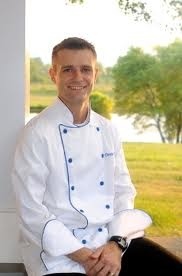 Westend Bistro by Eric Ripert has kept on keepin’ on since former chef Joe Palma departed for Charleston in April, but a new era is on the horizon with the arrival of Devin Bozkaya, a five-year veteran of the Inn at Little Washington and the current head chef at the Blue Rock Inn. This Thursday, the Culinary Institute of America graduate heads to New York City, where he’ll begin an orientation process that includes a stint cooking at venerable Le Bernardin. But first he talks to us about potential new menu items, his kitchen philosophy, and cooking fish for the master himself. Have you started the training session already? My orientation begins this Thursday. Toward the last week of September, I’ll have an intensive training session at Le Bernardin. We’ll have a pretty intense discussion on what direction we want to take Westend. I don’t have too much detail right now, except that I’ll be in the kitchen with Chef Ripert. We had a really in-depth conversation during the interview process over the phone, so I hope to bring a lot of my questions to the table, and to talk in terms of where he wants to see the restaurant go. I hope to bring some of my philosophies on food and some of my eclectic background. 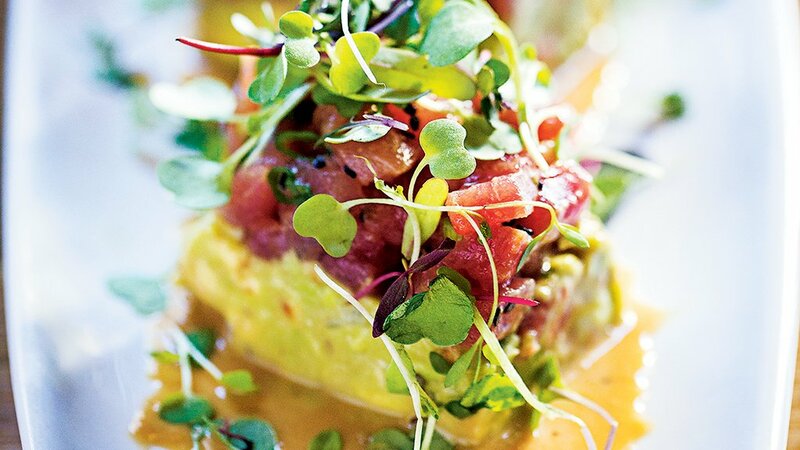 Chef Ripert and I have similar philosophies in terms of simplicity of food and the plate, having a star ingredient and [having] all the other components enhance and showcase that ingredient. We’re definitely on the same page. What new directions are you going to take with Westend? We’ll go over this during my time up there. I know that personally, I’d like to bring more interactive service to the table. I had the opportunity to dine [at Westend] shortly after they opened, about five years ago now. It was really great—but for me, I want there to be an interaction between the stories of the food and chefs and bring the guests into the meal. It comes from being out here in the countryside for so long [at the Inn at Little Washington] When guests are coming to eat, they’re coming to our home. The city pace seems to be so fast, but I want it to feel like coming into the bistro can be like coming into a family’s home. Are there any signature dishes you’re hoping to bring? There’re a couple of dishes I prepared during my interview. My favorite is the watermelon salad. There seems to be a market out there for watermelon with a savory pairing, but this has been very natural to me since I was six or seven, growing up in Turkey. My grandmother always added salt to watermelon. This dish is a compressed watermelon, paired with feta cheese and lemon-honey vinaigrette over arugula, accented with a honey-balsamic vinaigrette reduction. My favorite fish is an olive-oil-poached striped bass with preserved lemons, thyme, and garlic over an herbed potato gnocchi with a yuzu cream sauce. I hope to bring more to the menu in terms of sides and—for a lack of a better term—tapas-style plates. In Turkey there are certainly entrée-size portions, but also marinated sardines, octopus salad, seaweed salad. It’s interactive dining where guests can have a bite of a side or a dish, and have the willingness to share them. How about favorite ingredients and items for fall? Butternut squash is my favorite in terms of versatility. Right now I work with an orchard that has 13 varieties of apples, and I’m developing an apple soup with Berkshire pork sausage and sage. I hope I can bring that over with a few minor tweaks—like smoking the apples for a smoked-apple soup. Local lamb is another. Mount Vernon Farm’s lambs will soon be going into processing, and I hope to bring a burger for the lunchtime menu with a 50-50 mix of ground sirloin and lamb. I hope to have a burger bar with a collection of spreads and garnishes, allowing the guests to build their own creations. Are there dishes you know will stay on the menu? That fish burger is phenomenal, and I don’t really intend to mess with it. The tuna tartare I enjoy so much. You don’t mess with perfection, or try to fix anything that’s not broken. There’s a desire to achieve consistency, so I need to look at what’s working, what’s really enjoyed. As much as there’s a desire to express individuality, I really want to showcase that it’s Westend bistro: a fun place to come for drinks, service, and food. If something works, I want to keep it. What did you make for your interview meal? I did my tasting here at the Westend Bistro, and there was a judging panel of six guests, from the vice president of the company to the executive sous chef. Six plates for six courses each. I had to prepare and serve, as well as give a little background of the dishes. I started with the watermelon salad. It was followed with an heirloom-tomato gazpacho, very straightforward, with tomatoes, cumber, a little bit of celery and fennel. It gets passed through a fine mesh strainer—so not your traditional chunky gazpacho­—and topped with a cucumber-dill salsa seasoned with rice wine vinegar and a cucumber-gin foam. That was followed by spicy sautéed shrimp—shrimp blackened with annatto chili peppers over spicy tomato relish, topped with a local sweet corn salsa with a rainbow of peppers (I brought purple peppers we grew in our garden) seasoned with a lemon-honey vinaigrette. Then the sea bass dish I mentioned earlier, which used the sous-vide technique. Then the final entrée was pan-roasted crispy-skinned duck breast with sweet corn pudding, paired with sautéed Swiss chard with hickory-smoked bacon, a red wine and blackberry sauce reduction, and a little sprinkle of gremolata over the duck. Dessert was an Arborio rice pudding with Sugar giant peaches, topped with raspberry kernels and a ring of roasted pineapple and dark rum coulis. It was pretty much, “Show us your best.” The guidelines were the courses: a salad, two appetizers, a fish and a meat entrée, followed by dessert. It was left open to me to choose a theme, and I wanted to show my desire to use local and seasonal ingredients. Will it be nerve-wracking to cook fish for chef Ripert? Certainly. It is. To try and show off, if you will, to an artist is certainly nerve-wracking. I’m so excited to simply learn from the criticism. So this isn’t based on fear, but I look forward to a little bit of failure to get that criticism and lessons from someone who’s really mastered it. 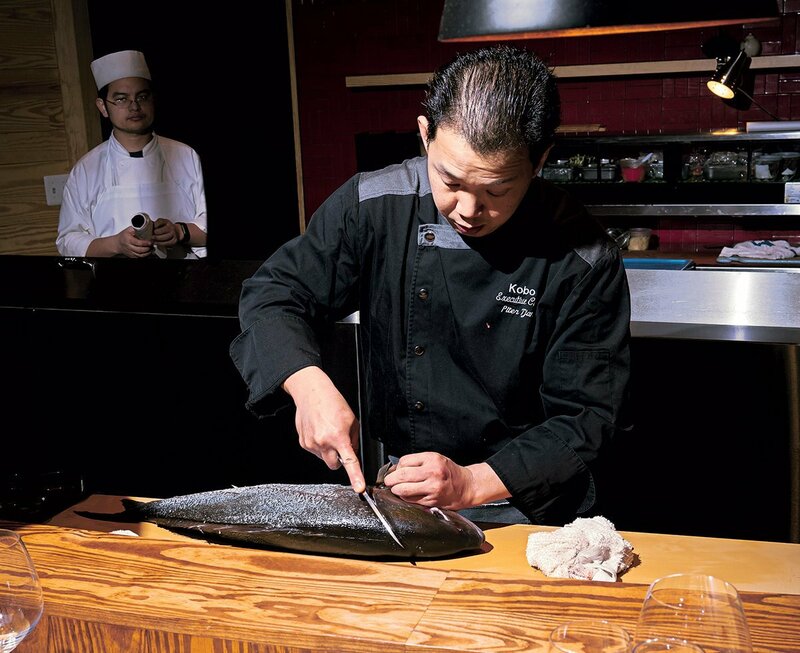 Chef is so calm and relaxed­—there’s not that fear of having a dish thrown at my head. Besides suggestions for dishes and ingredients, how are you preparing? I’m getting used to a city environment, and what expectations come from guests. I’ve been doing a lot of research, spanning all the way out to California, of all the well-known bistros, what the competition is doing, and some [bistro] dos and don’ts. 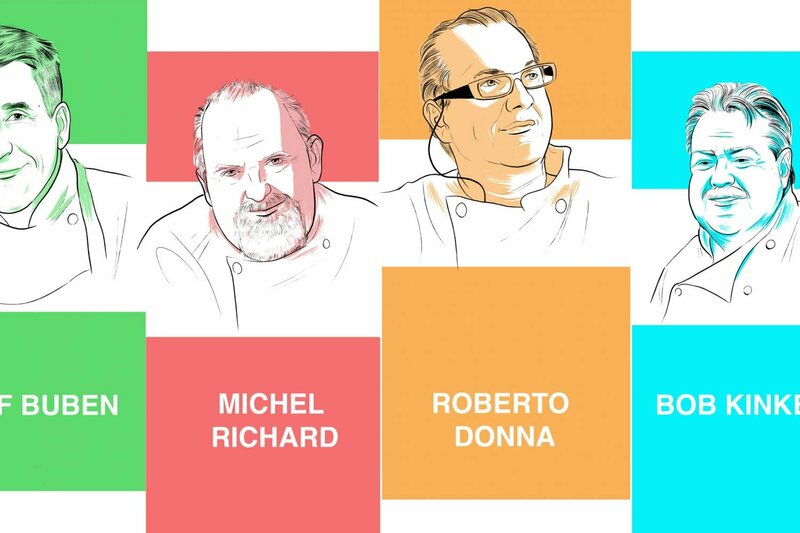 One of the greatest trends is top chefs making the move to open a casual bistro: Michel Richard here in DC, Daniel Boulud in New York, Alain Ducasse. There’s definitely a reaction to the marketplace where the guests are looking for great food and the same attention to ingredients at the five-star locations, but in a casual atmosphere with a quicker pace. So what are some of the dos and don’ts you’ve picked up? Don’t: definitely excessive tableside service. I’m trying to find a balance of some interaction that still allows servers to be part of the dining experience, but also allowing that time for guests to enjoy their own company. Definite do: some incorporation of local entities and ingredients. We have this great access to the Shenandoah Valley, Chesapeake Bay. Fresh, seasonal ingredients is a big plus. Don’t: the trendy gastro-creations that are played out. Spheres and foams and froths have lost their “wow,” either because so many people are doing it, or because there’s not a relation to it. If it doesn’t really serve a function, or enhance the ingredient, it’s just redundant technique. Do: Composing dishes that are sensible. Just because it’s casual food doesn’t mean there isn’t a thought process. Plenty of people consider the whole farm-to-table thing another trend. How do you build it into the restaurant’s philosophy so that it’s not just another passing fad? First and foremost, give a soul to it and practice it through and through in every aspect of the dining experience. And second, which I hope to bring, is the recognition and showcasing of these farms and local ingredients we’re using. I’d love to be able to include a writeup of the farms we’re using. You try to read some menus and they’re filled up with farm names. It does tend to busy a menu. However, I still believe these farms deserve their recognition.